ashramblings: Thought you knew who Elizabeth Taylor was? Think again! Thought you knew who Elizabeth Taylor was? Think again! 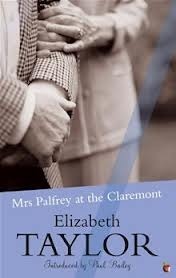 Not an author I had heard of, although seemingly very respected and well known in her time, and not a book I would normally have picked up but it was recommended by someone at my in person book group and another person mentioned that they had enjoyed the film version with Joan Plowright . A little bot of research revealed that BBC radio Bookclub had celebrated the author’s centenary in 2012 and David Baddiel had spoken about this book available on iplayer and Jim McNaughtie has written about it on the BookClub blog where he says that Baddiel sees Taylor as “the missing link between Jane Austen and John Updike”, and like Updike Taylor has the ability to "give the mundane its beautiful due”. I can really relate to that from reading this novel. The BBC also covered some of her short stories which sadly have no iplayer links available at the time of writing. ashramblings verdict 3* I can see why Taylor s well regarded but also why she is forgotten – her stories and characters are finely written but come from a bygone era if this one is anything to go by. I am now definitely going to try and get hold of the aforementioned film – I could clearly see Plowright in this role as I read the book. This is a sweet sad story which makes one hope that the latter years of one’s own life are not so lived whilst at the same time hoping that those who deal with one’s funeral arrangements realise they might not have known everything about your life and your friends.